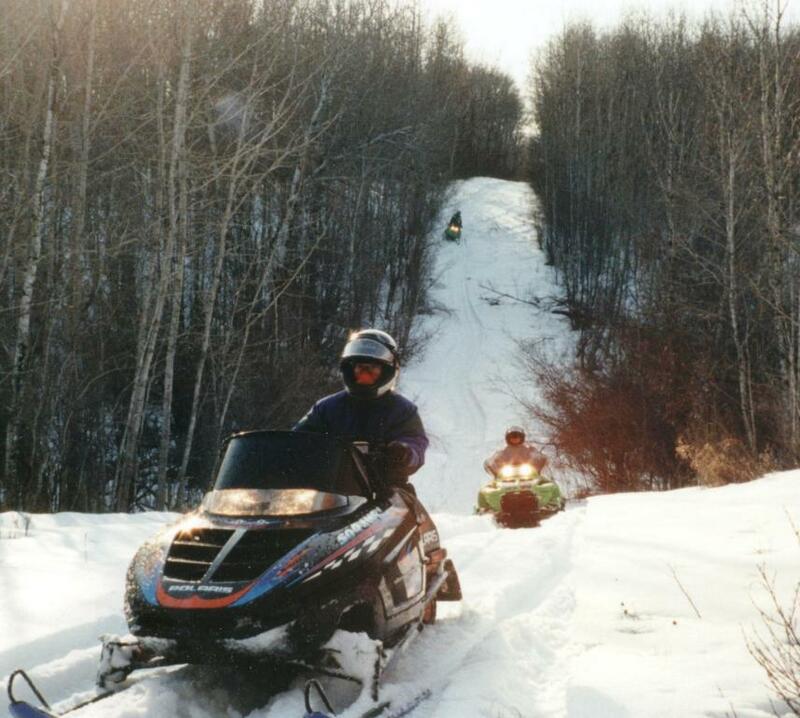 Are you fit enough to participate in a cross country snowmobile ride? Know your needs and reserve your gear! 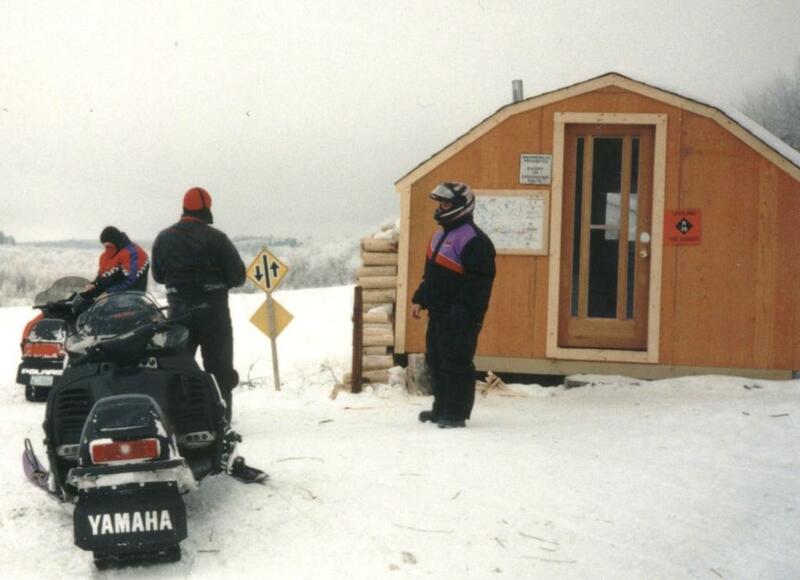 Here is the SNOCRUISE gear available with snowmobile rentals this year. 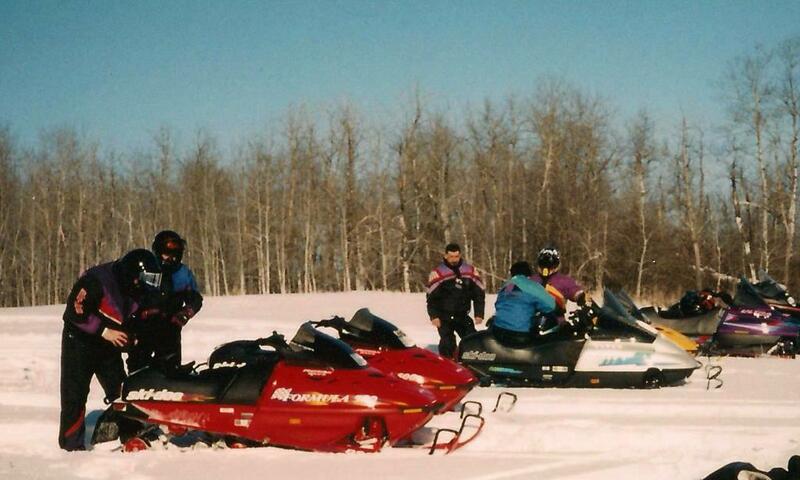 98-14 On the groomed trail just outside Big River. 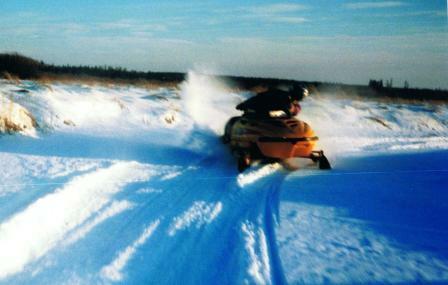 We went thru Debden to get to Big River.